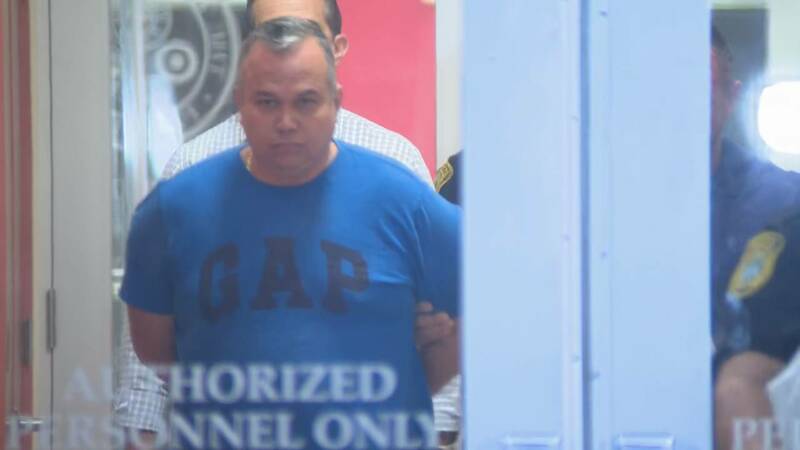 Alberto Verdecia is led out of the Medley Police Department in handcuffs after he was arrested on a charge of lewd and lascivious molestation of a child between 12 and 16 years old. MEDLEY, Fla. - A Hialeah man was arrested Wednesday after police said he molested a 12-year-old girl in 2016. Alberto Verdecia, 47, faces a charge of lewd and lascivious molestation on child between 12 and 16 years old. Medley police said the girl, now 15, told one of her teachers about the incident in late December and the teacher alerted authorities. Police said Verdecia assaulted the girl at Best Quality Business Corp. in the 8100 block of 74th Avenue in Medley. Police said Verdecia was a family friend of the victim. Alberto Verdecia, 47, is accused of molesting a 12-year-old girl in 2015. Verdecia is currently being held on a $7,500 bond at Miami-Dade County's Turner Guilford Knight Correctional Center. Anyone with information about the case is asked to contact the Medley Police Department at 786-224-9517 or Miami-Dade Crime Stoppers at 305-471-TIPS.